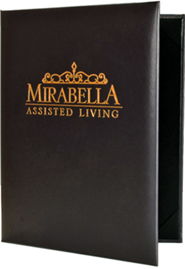 Authentic soft grain bonded Leather Menu Covers come in three rich colors and feature black silk moire interiors with matching album style corners. 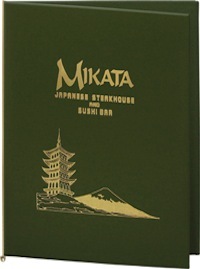 Iridescent Menu Covers come in five shimmering colors and feature black silk moire interiors with matching album style corners. 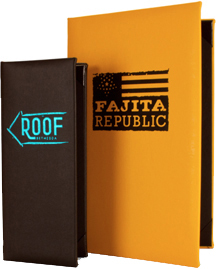 Durable menu covers with a padded leather-like soft grain feel with album style corners to hold your menu inserts. 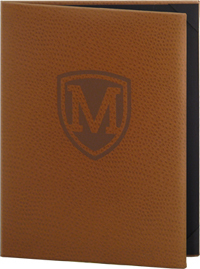 Park Avenue Menu Covers come in seven stunning colors with a smooth leather like feel and a black interior with black album style corners. 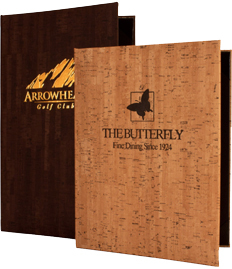 Sophisticated and trendy Cork menu covers are excellent choices for fine dining or wine-oriented presentations. Manhattan Menu Covers come in four colors with a smooth leather like feel and a matching interior album style corners. 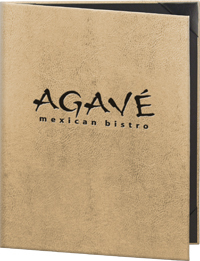 Brushed Metallic Menu Covers feature rich textures and colors and black silk moire interiors for an upscale, elegant look. 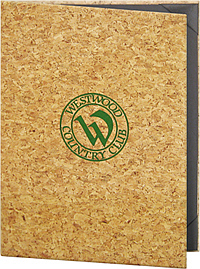 Upscale and elegant ostrich menu covers feature album style corners to hold menu inserts. 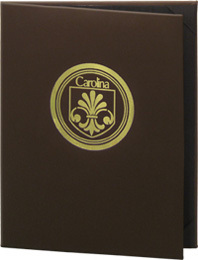 Tradition Menu Covers in smooth faux leather finish hold folded menu inserts with elastic cords or tassels (sold separately) - no diploma corners. Vino Menu Covers come in two colors with a contemporary faux cork look and a black interior with black album style corners.